Organizations web sites has become the most focused tool for customer information. As for that, special attention is given to improve this new environment for allowing better access to information such as ordering, purchasing, and private account management. Today, there are few ways of accessing the attended, phone, mail, chat or call-back service. Each of the mentioned methods, rather costly nor inconvenient or intuitive to use. Placing a "call us now" icon on the web page of the organization. When clicking the icon, an automate process will start and create a direct VoIP call to the contact center telephony bridge (IVR or CTI).from this bridge, the call will be route as if the call was coming in from the PSTN or from the mobile network. The user experience will be the same as if he was calling using traditional telephony. From the agent side, all the call flow will be kept and routed usually. For instance, if a customer wants to contact an agent, he clicks the "call us now" icon and will immediately be connected with the operator by a direct VoIP call. The call will be forwarded to the call queue system and be colleted as its time will get. 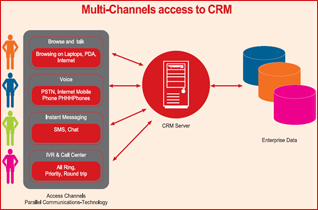 When a user is a frequent one, there will be an option of automatic data popup from CRM data base. This functionality comes to save the time of both the customer and the agent.